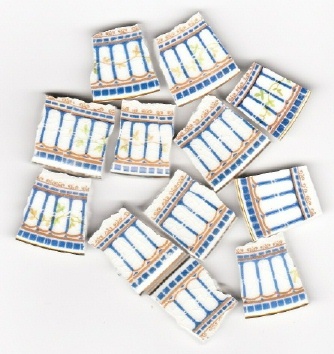 30 tiles from Grindley china plates. Blue stripes with pale green leaves & gold vines on about 1/2of the tiles, gold rim on white china. All rim tiles. No discoloration, some crazing, lay flat.